... it could be caused by a huge number of things. This page is quite useful in explaining the potential problems and gives a few ideas for resolution. I went through a lot of them but the answer ended up being very simple. The ASPNET user account somehow became locked out, so all I had to do was go into Control Panel > Administrative Tools > Computer Management > Local Users and Groups and look at the properties for the ASPNET account. The account was marked as locked out, so I uncleared the checkbox and restarted IIS with an iisreset at the command line. Then I tried to access my application and it worked! It was so straightforward, but I still have no idea why the account became locked out in the first place! Apple Tablet: Will Steve's New Toy do the Job? Many people apparently believe that Apple are about to announce a new gadget, the Apple Tablet. Since it's such a work of art, I always thought it would be cool to take an iPod Touch and enlarge it by several times. It looks a bit like the Tablet (if it actually appears) will look just like that. 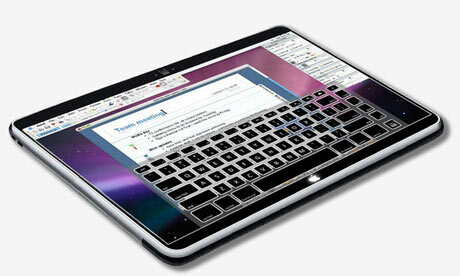 I really hope that they do release such a gadget, because aside from an iPhone I've never owned a Mac. It looks like it could be the perfect first buy; possibly portable, durable and running Mac OS X, with a user experience that beats the hell out of Windows (not that difficult). It's a nightmare trying to post any code in Blog posts. The tags confuse Blogger (fair enough) so if it happens, it won't let you post the code. I tried to install SyntaxHiglighter from Google, but it requires you to host its code on a webserver somewhere and I couldn't get it to work. Stanley Shilov came up with a nice alternative online tool which you can paste your code into, and it will parse it and replace any characters which will confuse your blogging engine with HTML tags which it'll love. You can access the tool here, and it needs zero set up and zero hassle. The drawback is that it doesn't offer any syntax highlighting, but it's still useful and I'll certainly be using it in future! I'd been really struggling to get any kind of Ajax functionality in my ASP.NET project. The first problem was that I couldn't be sure if I had enabled the Ajax extensions in my project, so to verify it I decided to try to create a new 'ASP.NET Ajax Enabled Web Site' template in Visual Studio. But I couldn't see that option, and wondered if I had the wrong version of the .NET framework installed. No - that was fine, I had 3.5. So it must be something else. Until I discovered that Visual Studio 2008 Express automatically adds the Ajax extensions to any new ASP.NET project you create in it. So that's good. So I downloaded the Binary package (to avoid all the extra crap that comes with it) and dropped the AjaxControlToolkit.dll into the Bin folder of my Project. Then I right-clicked on the Toolbox in VS2008 and selected Choose Items. Selecting the DLL file now meant that after a couple of seconds of chewing it over, the Ajax controls I needed appeared in the Toolbox. Now I had to see if I could get an extremely simple Ajax control set up on my page, just to see if it was working. So I dragged a new texbox onto my page, gave it a name and then dragged a ScriptManager control onto the page. Next, I had to add an AutoCompleteExtender control which would target the text box I chose, and Ajax enable it. It creates a WebService.asmx.vb file too, which actually contains the code above. So all the HelloWorld function does is return a string array to the Ajax textbox. I built and started the app, and voila - when I type something into the box, the values 'One','Two','Three' appear below. It's not smart at all at this point, since the web service just returns those values no matter what is typed into the text box. But it's square one, and it's a good place to start. Next step, add some proper code to the Web Service which returns the correct autocomplete values based on what's typed. "You are not authorized to view this page (Error 401.1)"
If you're allowing anonymous access to your site using the IIS account, a temporary workaround is to run an iisreset at the command line. But a longer term (and less irritating) solution is to go into the Directory Security properties of your Virtual Directory in IIS configuration and uncheck the box which says "Allow IIS to control password". Then do an iisreset and the error shouldn't appear again, unless there are deeper problems with your security set up.